Gilbert, Ariz., April 2, 2018 — USA BMX, the world’s largest BMX racing organization, and Woodward, an action sports and lifestyle camp, community and cultural icon, today announced a partnership designed to benefit BMX racers of all ages, all around the world. Included in the partnership and starting this summer is a new BMX Racing program at the Woodward Pennsylvania location offered from July 29 - August 25, 2018. This summer’s Woodward Pennsylvania BMX Race Program will feature a brand new state-of-the-art track that will include a Pro Gate, asphalt turns, audio and lights. 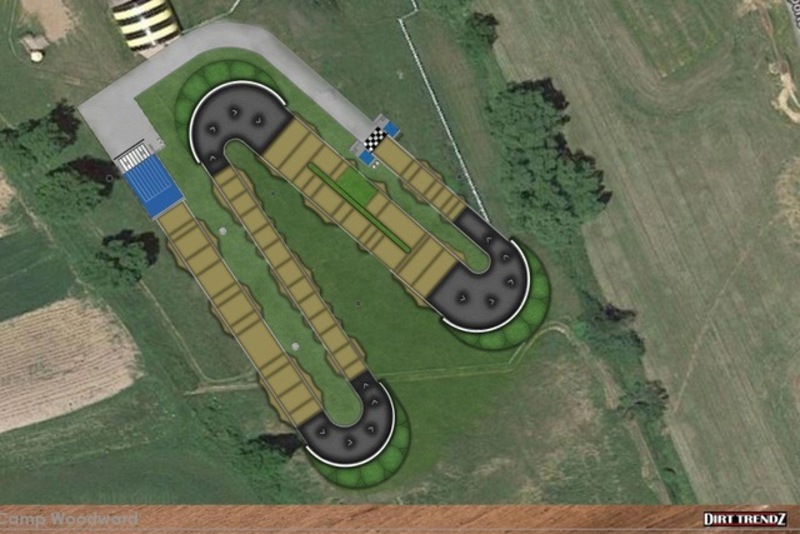 The track design, developed in collaboration with USA BMX and track developer Lance Maguire, will allow participants of all ages and skill levels to progress and have fun. Woodward’s new BMX Racing director, Jason Toutolmin, will draw on his two decades of racing, event organizing and as a current USA BMX track operator, to teach campers everything from bike and gear set-up to gate starts, sprints, turns and jumps. BMX Racing campers will also have access to ride on Woodward’s dirt jumps, foam box jumps, and resi-landing jumps. USA BMX members who register for Woodward BMX Racing Camp Sessions prior to June 1, 2018 will qualify for a discount of $200 off regular price camp registration. 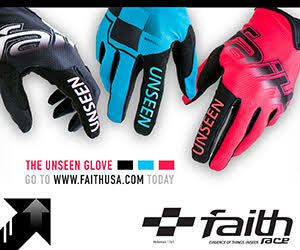 USA BMX Members who register between June 1 - August 25 will receive a $100 discount. 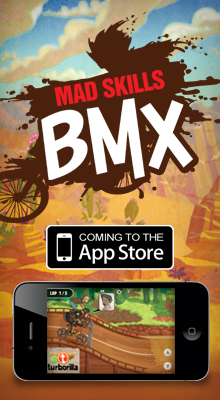 For more information on USA BMX or to find a local track near you, visit www.usabmx.com. For more information on Woodward, please visit www.campwoodward.com. 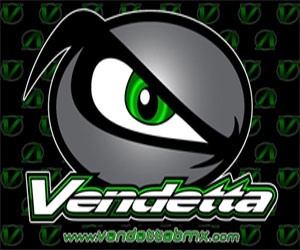 Founded in 1977, the American Bicycle Association (ABA) is the world’s largest BMX racing organization with more than 70,000 members racing at more than 300 sanctioned tracks across North America where United States operations are conducted under the brand USA BMX and Canadian operations are known as BMX Canada. 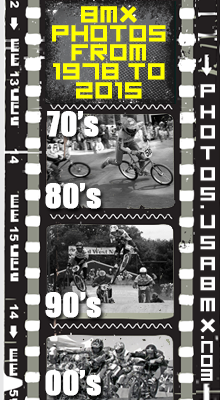 USA BMX recently launched the BMX Racing League to completely rethink and reinvent the way new riders are on-boarded into the sport The program, managed by BMX pro and Olympian Donny Robinson, is a complete new rider solution from marketing to registration to curriculum to the checkered flag. 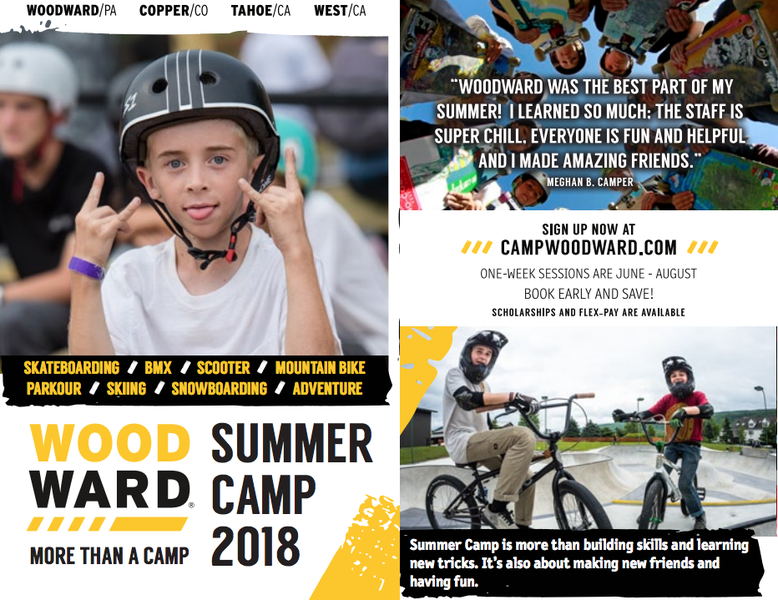 Woodward is a world-class destination, for both aspiring youth and professional athletes, with camps and programs that inspire, mentor and nurture kids through amazing activities. For more than forty years, Woodward’s positive movement in youth culture has given kids greater self-confidence as they advance in athletics, build personal character and become part of a community. 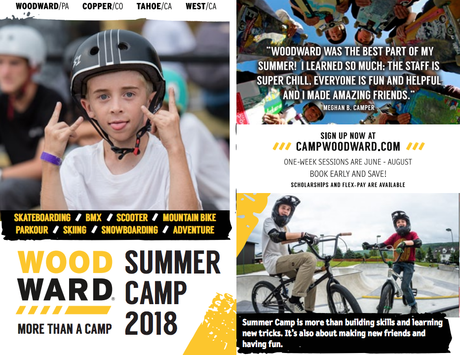 While at Woodward, kids are empowered to thrive via creative expression in tech, music and sport such as skateboarding, gymnastics, cheer, scooter, BMX, snowboarding, freeskiing, parkour, dance, digital media and more. 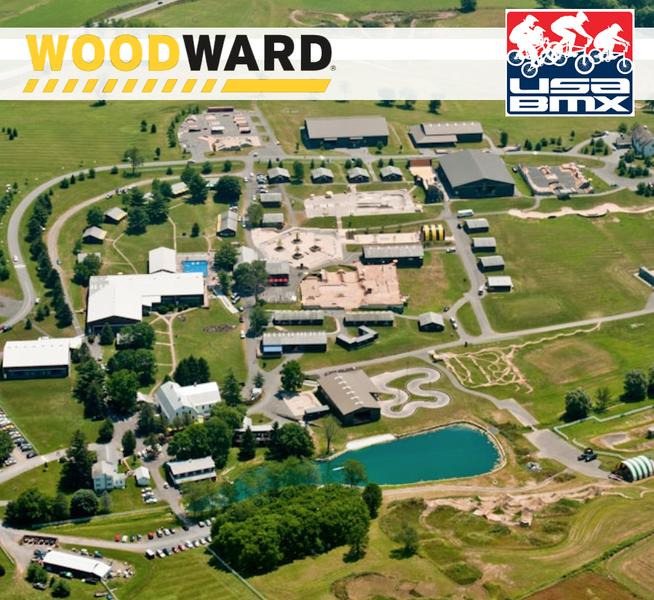 With innovative facilities, Woodward currently has four unique locations in the United States and one location in Mexico, open to all ages and ability levels, including the original Camp Woodward in Woodward, Pennsylvania; Woodward West in Tehachapi, California; Woodward Tahoe at Boreal Resort in California; Woodward Copper in Summit County, Colorado; and Woodward Riviera Maya, Mexico, with more locations on the horizon. To find out more information, please visit,www.campwoodward.com. Woodward is a POWDR company.